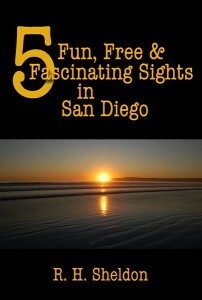 5 Fun, Free & Fascinating Sights in San Diego is part of the 5-Spot ebook travel series. This is neither your typical series nor your typical guide. Like other 5-Spot books, the San Diego guide provides an intimate and often humorous perspective on five great sights, including Mission Beach, Balboa Park, Old Town San Diego, La Jolla Cove, and the Coronado beaches. You can use the guide to enhance your stay in San Diego, or if you already live there, use it to become better acquainted with the city. The guide is available in a variety of ebook formats, which means you can read on your smartphone, tablet, or laptop, as well as your eReader devices such as the Kindle reader. When you’re ready to go, the book is ready to go with you. 5 Fun, Free & Fascinating Sights in San Diego gives you a close-up and personal look at sights not only interesting, but also fun to visit. And like the other 5-Spot books, you can view a YouTube video that shows photographs of each of the five destinations. The book includes a link to the 5-Spot web page, where you can connect to the current version of the video. The book also includes links to additional information about each sight as well as to a Google map that shows the sight’s location. 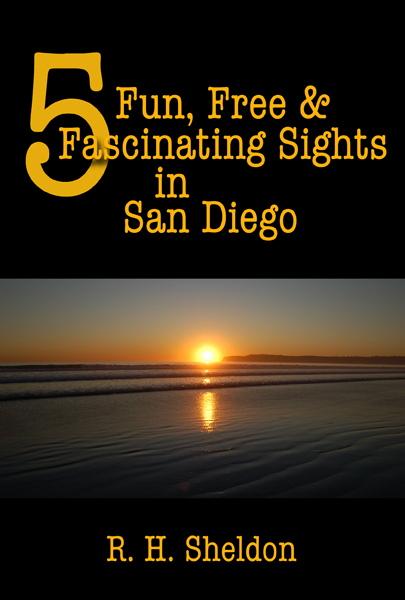 5 Fun, Free & Fascinating Sights in San Diego, like all the books in the 5-Spot ebook travel series, is dedicated to the frugal, miserly, penny-pinching tourist in all of us. Each book in the series describes five fun and fascinating sights that are, of course, free to visit. And in today’s economy, free is not a bad way to go. Currently, you can order the book through Smashwords and Amazon.